I am a professional data entry and Web Research expert and have extensive knowledge of MS Word and MS Excel,Google sheet,Spreadsheet and can do extensive data research on web of any kind. Please contact me before hire so that I can confirm whether I do the type of work that you require and that I have the time to work on time. 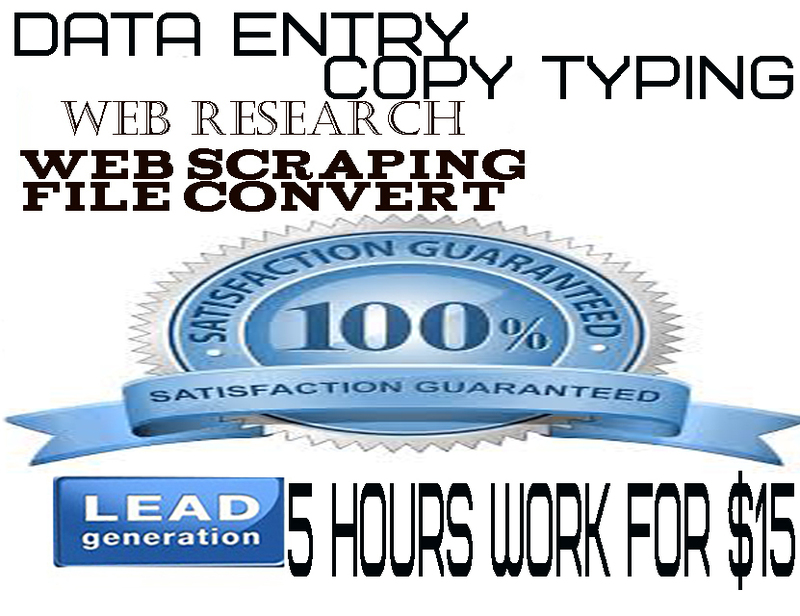 Do any kind of data entry & Web scraping,web Research work for 5 hours is ranked 5 out of 5. Based on 1 user reviews.